Personalized Service and Solutions Tailored to Your Specific Needs. While every bankruptcy proceeding is unique, most people feel intimidated by the process. The paperwork involved in bankruptcy cases can be quite confusing, and more often than not, your creditors will have teams of lawyers behind them. Declaring personal bankruptcy can be a frightening legal process you shouldn’t face alone. 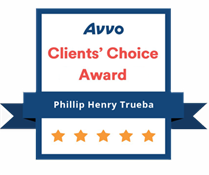 At Phillip H. Trueba, Attorney at Law, you work directly with an experienced attorney providing the one-on-one service you deserve. When you’re having financial problems, time is of the utmost importance. The first step to gaining control over your finances and to protecting your assets is to act quickly and hire an attorney. Contact Phillip H. Trueba, Attorney At Law today to discuss your financial situation and see whether you qualify for bankruptcy. The information you receive may be priceless, but the initial consultation is free of charge, so you have nothing to lose by contacting us. Call (713) 481-0022 or contact us online today to discover your debt relief options in a FREE case evaluation! Weekend appointments are available. If you are considering bankruptcy as a solution to your financial struggles, it is in your best interests to work with a professional attorney. At Phillip H. Trueba, Attorney At Law, we can help you understand all of your legal options and ensure that you take all the right steps while filing for bankruptcy. We will review your case for free, allowing you the flexibility to make an informed decision before paying a dime for an attorney's services. Start your journey toward financial relief by contacting our Houston bankruptcy lawyer today! Email us below or call (713) 481-0022 to learn your legal options. We are a federally designated Debt Relief Agency under the United States Bankruptcy Laws. We assist people with finding solutions to their debt and credit problems, including, where appropriate, assisting them with the filing of petitions for relief under the United States Bankruptcy Code. The information on this website is for general information purposes only. Nothing on this site should be taken as legal advice for any individual case or situation. This information is not intended to create, and receipt or viewing does not constitute, an attorney-client relationship.